A Goan customer is very discerning hence there are many tailors and Boutiques providing Wedding Gowns in Goa, Goans always on a lookout for the most exclusive, trendy and the best in Suits and fashion, with heart-felt gratitude and humility Weddings de Goa is at a service of such a customer who has driven us to provide all your wedding needs and requirements sitting at one place just at a few click of buttons on your handset. In our list of Tailors and Boutiques we are offering a full complement of bridal dresses, Bridesmaids dresses, Flower girls dresses and more at all price points up to your budget. 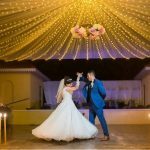 You can plan your wedding dresses by just browsing through Weddings de Goa and finding the best Wedding Gown Tailors or Boutiques that can provide you the best and Unique Bridal gowns in Goa. 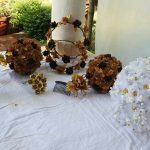 We also have a list of Wedding Bridal gown Designers in Goa that will help to design your unique Wedding Gown and other bridesmaid, flower girl, mother of the bride and family dresses according to your expectation and requirements. Many Brides look for professional tailors that are difficult to find so we have clubbed some of the most popular and experienced Tailors and Designers that can design the best wedding Gowns in Goa and provide a satisfactory and most pleasing Wedding Bridal Gowns for you. Just view their portfolio and choose the Tailor, Designer or wedding boutique that best suits you.